Below we present a selection of questions and answers that followed the recent talk given by Fr. Gabriel (Bunge) in Moscow. Why Are Prayer Books Necessary? Question: Tell us, please, whether one can pray using personal rather than canonical prayers? Why do all Prayer Books insist on canonical texts? Fr. Gabriel: The canonical prayers in the Prayer Books that we use are a school for prayer. In the beginning they didn’t exist. Thus, the first monks had a quite particular tradition of prayer, which was lost with time. They recited the Psalms and, after each Psalm, they stopped and stood up – because one can say the Psalms sitting – and raised their arms and prayed in silence. When a modern person – I’ve experimented with this often – wants to learn this way of reading and praying, he encounters difficulties. He feels lost; he doesn’t know what to say. It’s fairly easy to say the Psalms in a concentrated manner, but once one no longer has this “crutch,” many people at first are a bit lost. The canonical Prayer Books that we use are an aid in helping us to learn to pray like Christians, because the Psalms are an Old Testament text. They’re foremost Holy Scripture. To psalmodize isn’t yet to pray; one is then on one’s way to prayer. Thus, one must learn to read the Psalms in a Christian manner. This means using a Christological key; one must look for and find Christ, His Church, and the believer in these Old Testament words. Prayer Books and canonical prayers, which are all of Christian origin, help one to pray like a Christian. When one has learned this, then it becomes easier in a psalm that we have just read to pick up a phrase or expression and transform it into personal, Christian prayer. Question: What is the right way to move to the practice of prayer, if one has experience in meditation, but doesn’t have experience of church life? Fr. Gabriel: I don’t know Russia well enough to know to what point Far Eastern methods of meditation have entered into practice, even that of believers. But it’s clear that meditation is a completely different thing from prayer. Prayer, like meditation, is an expression of the belief of the religion to which it belongs. Christians pray; the Buddhist or Hindu meditates. 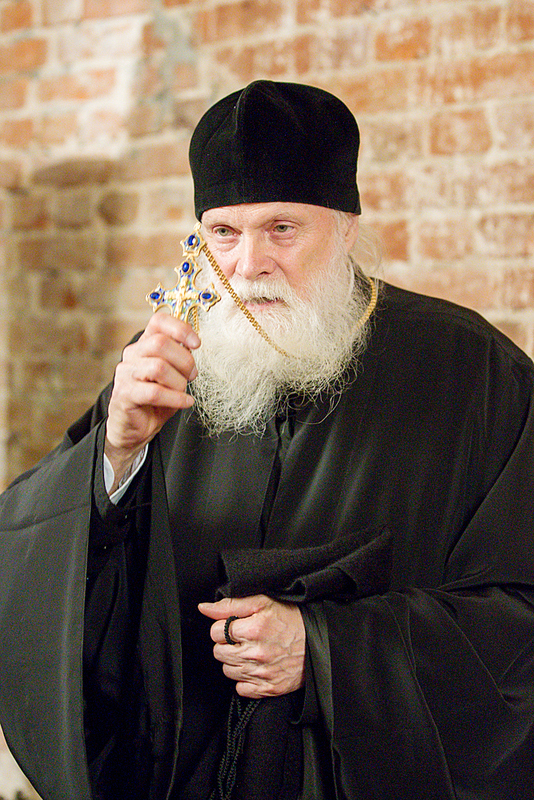 The Christian is always conscious, in all degrees of prayer, that he is in front of Someone. In the religions of the Far East, in which the Absolute is impersonal, one is – in the final analysis – alone with oneself. One enters into oneself in order to become conscious of one’s identity with the Absolute. The Christian wants something quite different. He wants a conversation, a dialogue, without any intermediary, with the Absolute Person of God. To return to the question, one who has experience of Far Eastern methods might do well to begin at the bottom: very simply, to recite the canonical prayers – to be conscious that one is a poor sinner in need of God’s mercy, and that one can’t save oneself. Question: Good evening, Fr. Gabriel. I’d like, if possible, to clarify the topic of today’s meeting by asking the following question. When we pose the question as follows – Can modern man pray? – it assumes that for modern man prayer is somehow unnatural and very difficult. In your opinion, what is it in the psychological portrait of modern man that makes prayer life the most difficult? What does modern man need to struggle with first of all, and what does he have to conquer in himself, for prayer life to become more normal and natural? Fr. Gabriel: I believe that that which inhibits modern man from praying – to the extent that I know, because after all I’m a hermit – is that he is never alone; he’s constantly surrounded by noise. You can’t pray in continual noise. When television, cell phones, the Internet – and God knows what else – are constantly lit up, you can’t pray. I had a small experience of this when at my place, I had to install a telephone in my place. It was in my cell; it was a device with a fax and an automatic answering machine. In principle, I didn’t hear anything, but there was this little light. One day I received a postcard from a hermit-nun, whom I had never met, in which she said that she – alas! –hadn’t found what she was looking for in the hermitic life. This was an excellent woman: she had been a doctor who had entered a very strict order and had then become a hermit. And then I said to myself: my God, what if I had to say the same thing myself? Then I took this telephone with my two hands and threw it outside. I put it in the kitchen [in another building], where I don’t live. Therefore, I can neither see nor hear it. When I came back, I sat down with my prayer rope and looked – and that light was no longer there. I was truly alone. There had always been a spy next to me. The world had a foot in the door. You all understand this very well. Therefore, one has to turn everything off. 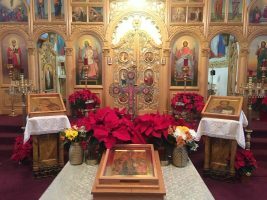 One has to remain alone, place oneself before the icon or icon corner, make the sign of the cross, and recite the psalms. If that doesn’t work, one needs to cry out more loudly. And you’ll see that it works. It works! Question: Tell us, please, why is one prayer heard, and another not? Fr. Gabriel: Because God isn’t here to fulfill our whims. To quote Evagrius once more, “Never ask that your will be done.” I’ve done it often, he said, and when it was fulfilled, it was never what I’d expected. Because God always wants the good, but you don’t at all. Thus the first prayer is: “Let me know Thy will.” Because everything that doesn’t conform to the will of God isn’t real; it’s an illusion. Sometimes we insist. We think that we should receive such-and-such, but either it’s not good, or the moment isn’t right, or it’s not for us, etc. The mystery of the spiritual life is to know and do the will of God, like the Son, our Lord. Question: Have I correctly understood Fr. Gabriel, that it’s better to pray at home alone rather than in church, when there are many people? Fr. Gabriel: Both one and the other [are good]. Everything has its own time. For example, to speak of monks, if a monk prays only in church when he’s with others, and doesn’t pray in his cell, then he doesn’t pray at all. He’s only doing his duty, so to speak, but God knows where his head is. In any case, there are others who are praying, reading, and chanting, etc. But when he’s in his cell all alone, then he is face-to-face with God alone. That’s the moment of truth. Question: Fr. Gabriel, do you always feel comfortable in solitude? How can one avoid despondency in solitude? Fr. Gabriel: I avoided despondency by writing a book about this subject [Despondency: The Spiritual Teaching of Evagrius of Pontus]. The Srentensky Monastery is preparing a second edition of this book [in Russian]. That’s a quip, but one can combat each of the eight principal “thoughts” by occupying oneself with it. That is, one studies them, where they come from, and how one can combat them. 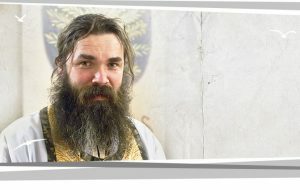 Pravmir wishes to express its thanks to Subdeacon Claude Lopez-Ginisty (of http://orthodoxologie.blogspot.com) for his assistance in translating this talk from the French.